If you read our last post, you know that a good friend that Ken and I practically grew up with passed away unexpectedly. While this was a very sad occasion, it also brought us together with our life-long friends. Why is it that it takes a wedding or a funeral to get together with everybody? Such is the hustle bustle of the landlubber life! Anyway, our high-school friend (and best man at our wedding) flew in from Florida, while others drove in from Tennessee and Northern Louisiana. We had a few friends stay at our house, and it felt like a slumber party. I can't remember the last time we had a house-full of overnight guests. So, after coming together to pay our respects we all thought it would be appropriate to celebrate our friend's life. She brought a lot of laughs, and we know she'd want us to have some fun in her honor. 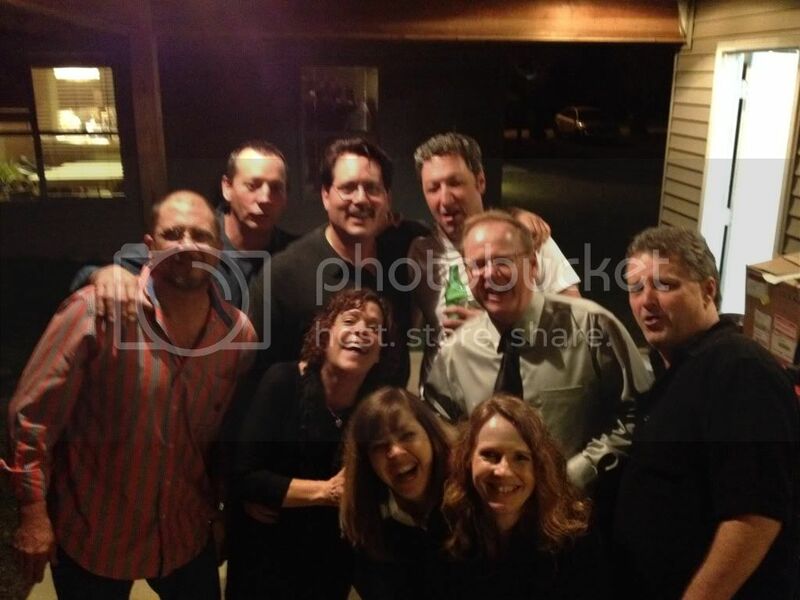 We all hung out at another friend's home after the service for some good fun and catching up with each other. We felt like we were in high school again, and it was great to just get crazy for a while. Boy, did we get crazy, but I'll do everybody a favor and keep those pictures private! Us with our friends since high school .. the stories we have! The following day we took advantage of the fact the one of our friends is into old bicycles. He has about 20 of them in his garage! 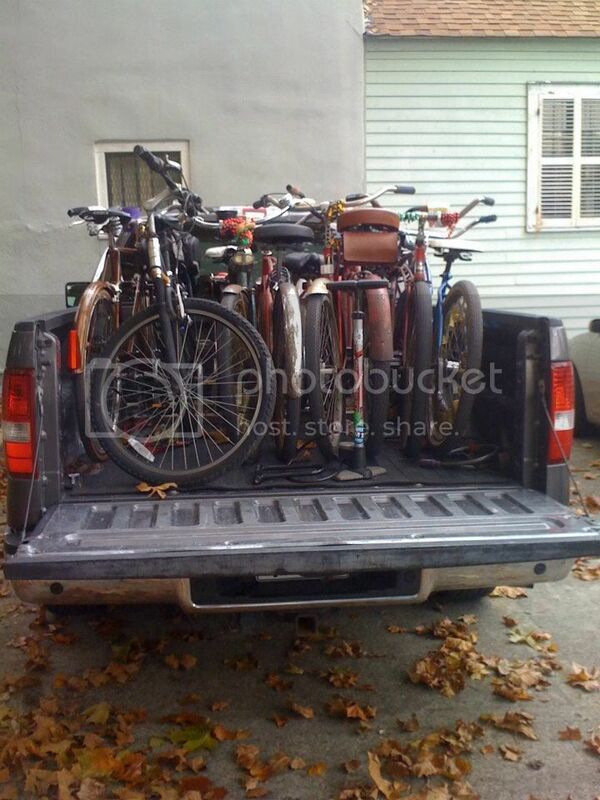 He packed his truck full of bikes and we all headed to the French Quarter for the day. 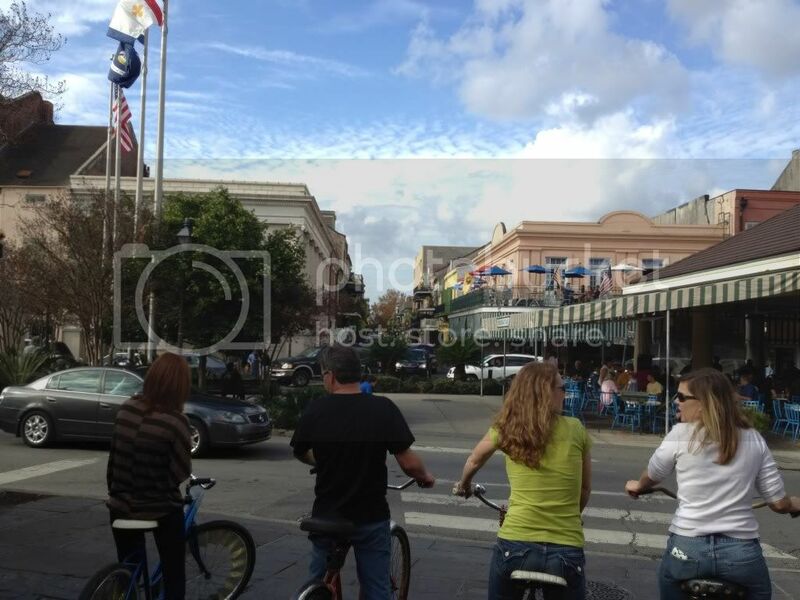 While Ken and I have ridden through the Quarter a couple of times, we'd never done it with a group of 8 friends ... it was a great time. We felt like we were on a field trip! We were all still recuperating from the night before, and it was slow goin' at first! We figured our first stop should be for Bloody Marys. After a drink we were on our way around the city. 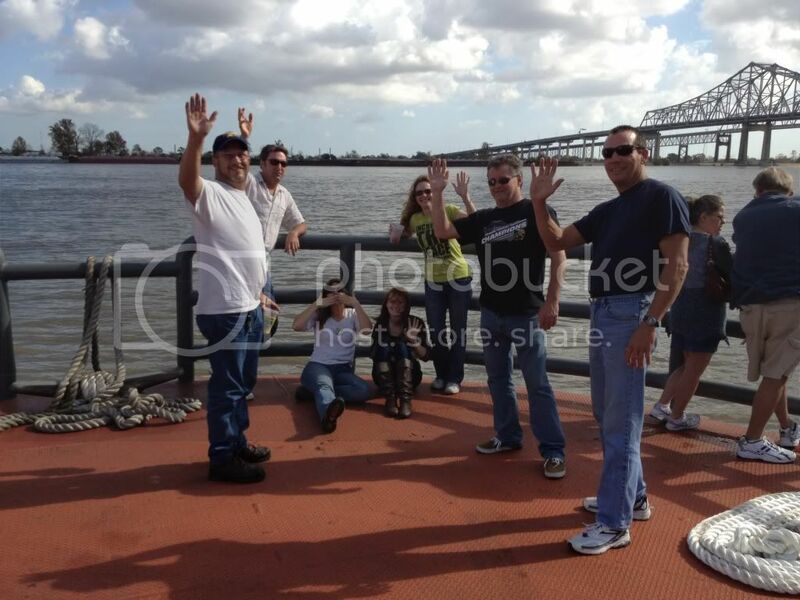 We then hopped on the ferry that took us down the Mississippi River then dropped us (and our bikes) off across the river. 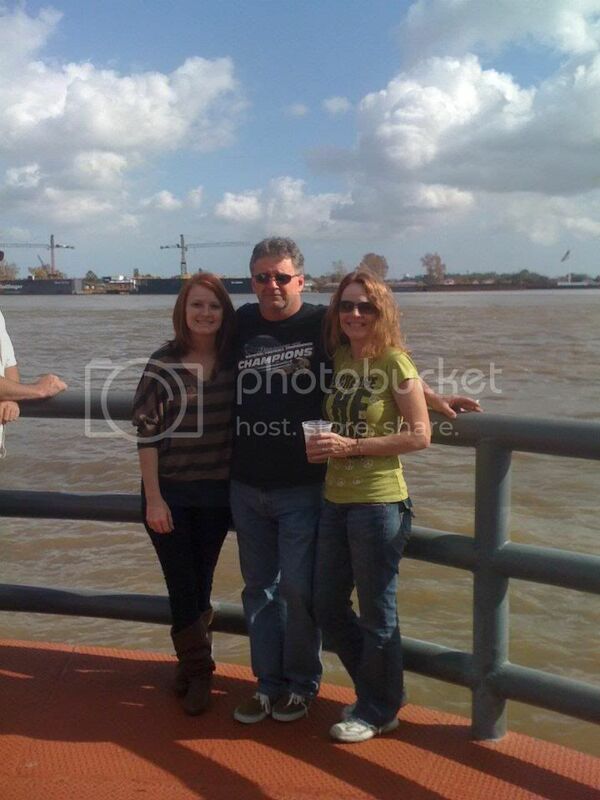 This was about a 20 minute ferry ride, so it was a really nice trip down the Mississippi. Again, we felt like tourists! We're gonna start our own movement ... 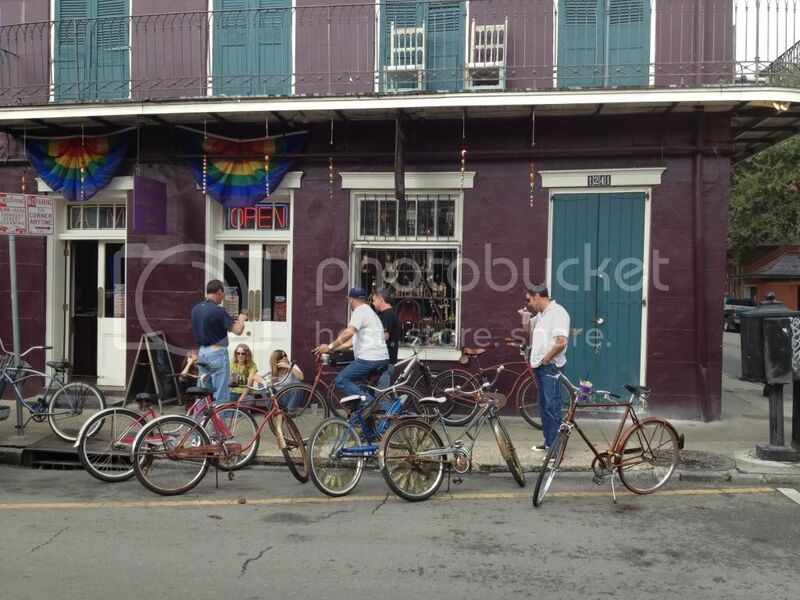 Occupy French Quarter! ﻿The shot above is with our daughter. We were so glad she was able to spend the day with us and our friends. 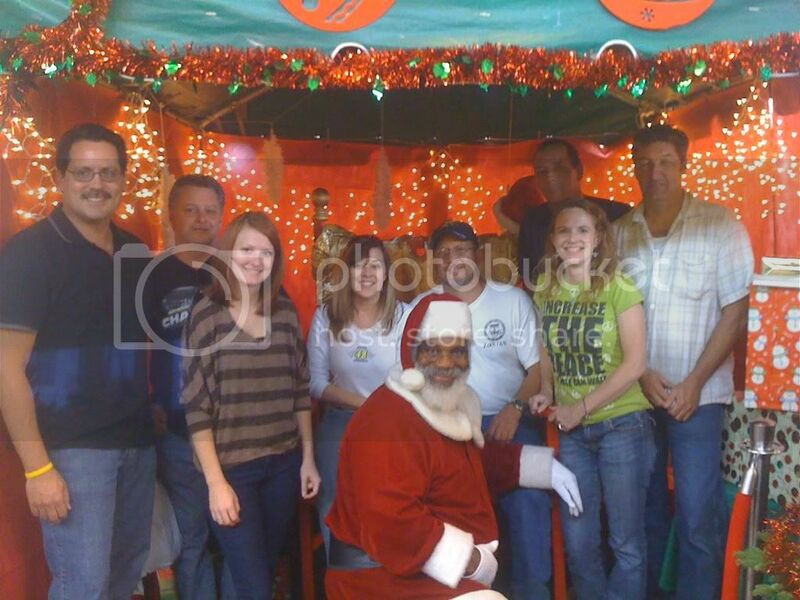 They're like her aunts and uncles, and some haven't seen her since she was a baby. 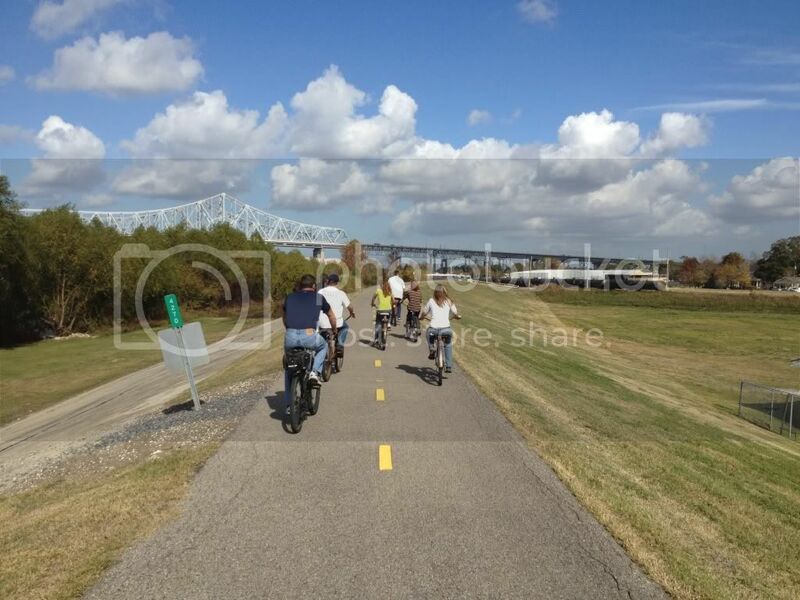 After getting off the ferry, we rode about 3 miles on the levee (after a hangover .. what were we thinking)! 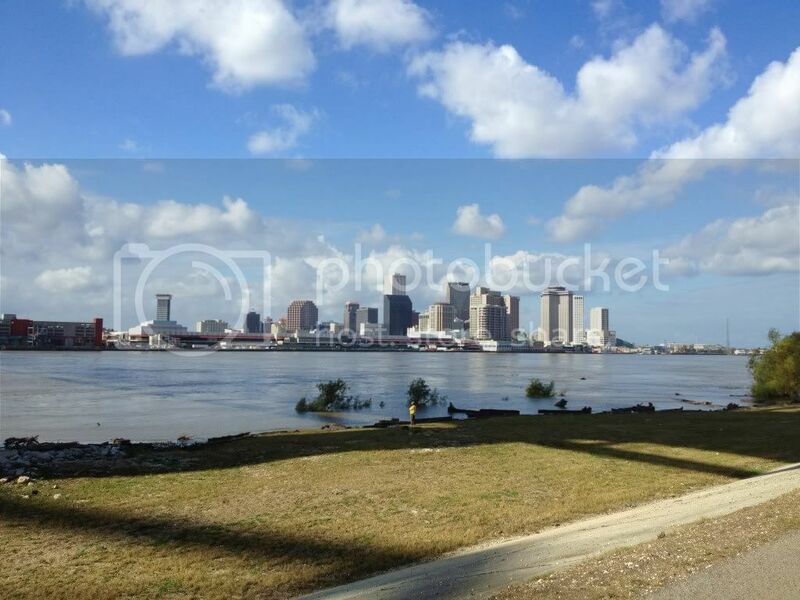 The path took us back to another ferry terminal, which then brought us back to the French Quarter. This was a first for all of us (execpt our cycling friend), and it was a blast. The weather was sunny and in the 70's ... perfect! 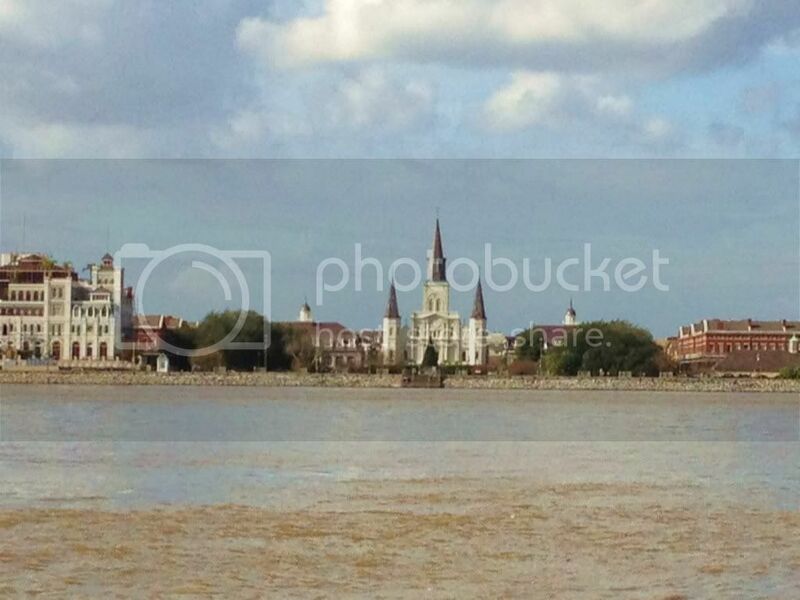 Views of the city from across the Mississippi River, including the St. Louis Cathedral in the French Quarter. 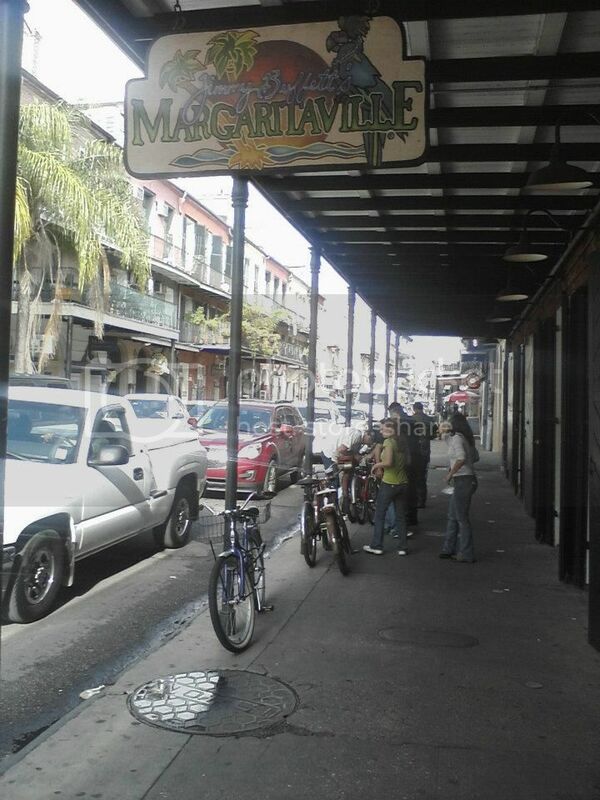 Once back in the French Quarter, we had to stop at Margaritaville for lunch. We were still beat from the night before and we needed food! After lunch, we found Santa Claus and had to get a picture! 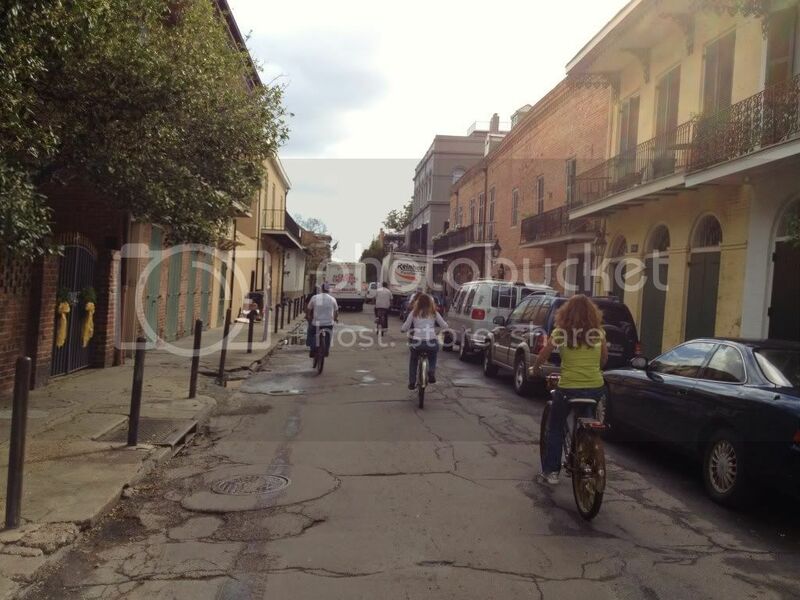 We then rode through the Quarter and on to Bourbon Street. We figured that was the best way to end our day in the city! We lost two from the night before (one lives in town and had to work and the other had to go back to Northern Louisiana). The guy on the left with Ken and our daughter was our best man. The two in the middle ... they grew up in Panama (before moving to the States in high school) and they're moving back in a few months. I see a trip in our future! The two guys behind me ... they still live here in Slidell. We all said our goodbyes the following day, and vowed to get together more often. While we're all like family and have kept in touch by phone, it's just not the same as getting together. We tried to remember the last time that we were all together at once ... probably about 15 years ago! We had a great time, and we think Liz would be happy to see us all together and smiling. While there was lots of laughter, we all have an empty place in our heart and we'll never forget our friend. This post is dedicated to her! Hasta luego ... Mid-Life Cruising! What a heartfelt and terrific tribute to your friend. As it should be. How fun. I've lost touch with all of my folks I went to school with. It's a shame too, but we are all over the country now. I'm glad you got to celebrate the life of one of your friends. Wow Cheryl... what a great story of our time together! It was a great trip and I know Kevin and I will never forget it! U better start planning ur trip to Panama!!! !